In the market for an enviable Instagram feed? Chicago’s got you covered. With trendy restaurants and amazing street art and alley murals, The Windy City is the perfect place to take cool snaps to share with all your followers. 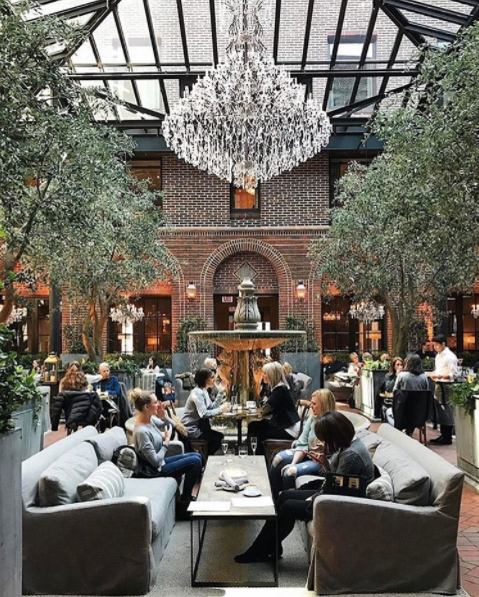 Here are Chi-town’s 5 most Instagrammable spots. It’s all in the name of this River North restaurant. The Hampton Social is made for social media, with a trendy plant wall and a pink neon sign that reads “Rosé all day” – #ourmantra. We’ll never say no to a chic eatery, pink wine or a selfie to prove we were there. A slice of the tropics exists in the city at The Flamingo Rum Club, located at 601 N. Wells Street. 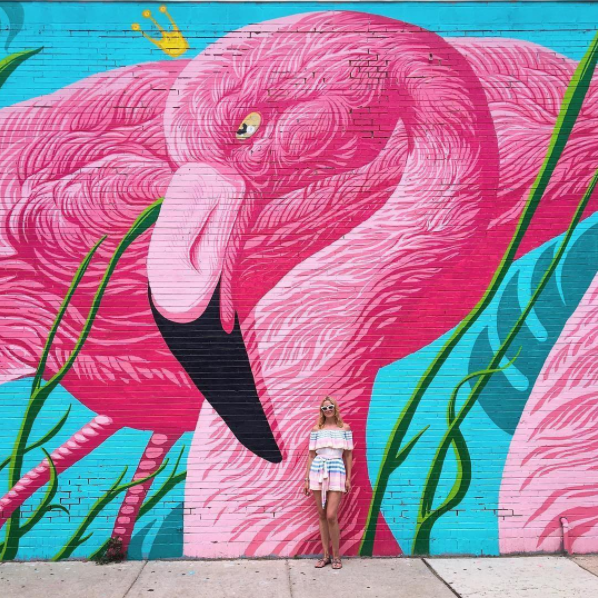 Outside of this Cuban cabaret, you’ll find a turquoise wall with a giant, pink flamingo mural, waiting to pose with you for your next Instagram pic. Instagram foodie bloggers, you dough-not want to miss out on a visit to Stan’s Donuts & Coffee. The photo-ops are endless with all of the colourful, delicious-looking treats. 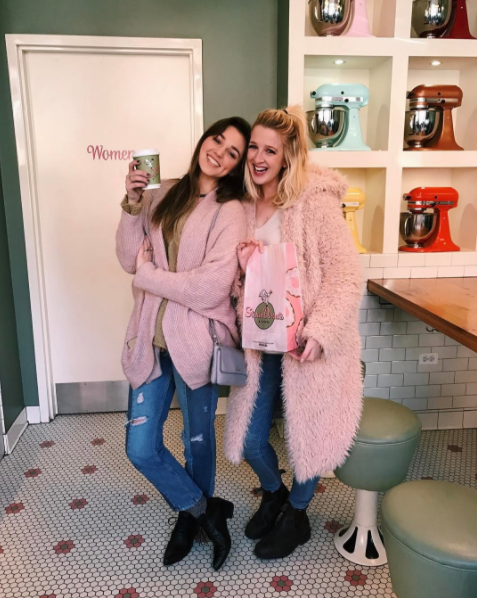 After you’re done taking pictures, it will likely take all of your willpower to not jump over the counter and devour every doughnut behind the glass. This incredible café is straight out of a fairytale. 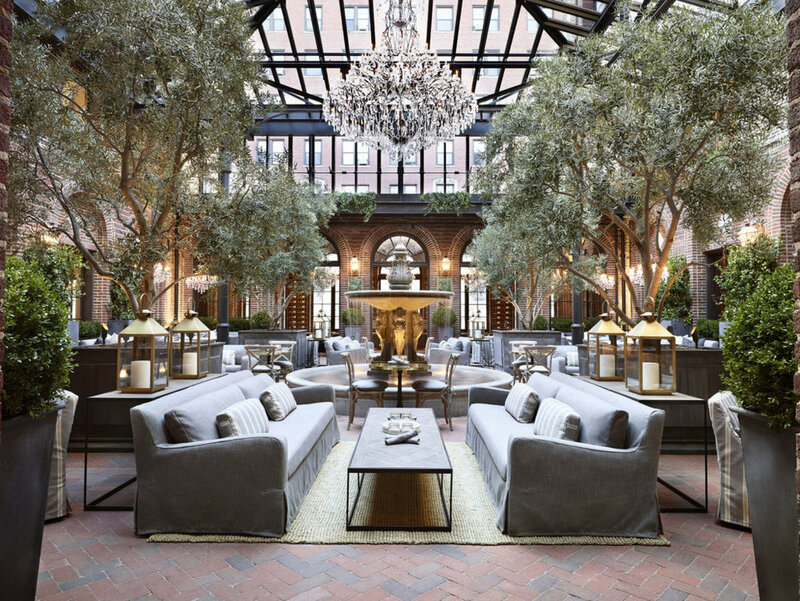 With a giant crystal chandelier hanging overhead, glass ceiling, a running fountain, live trees and exposed brick, it’s practically an indoor enchanted forest and the perfect place to snap like-worthy photos. Romantic enough for proposal pics, perhaps? A moose blowing bubble gum exists and you need to take a picture of it and/or with it. The Wabash Arts Corridor (WAC), located at Wabash Avenue, is dedicated to creating a “living urban canvas” which only helps your Instagram feed that much more. This moose mural is cute, sassy and your ticket to the best Insta page by far.